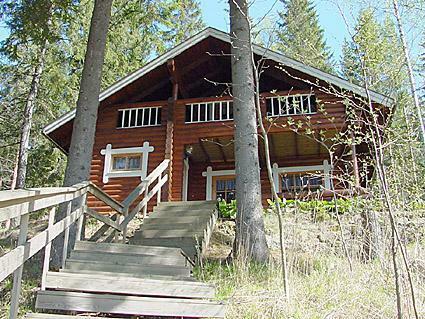 Log cottage 1993, living room/ kitchen, bedroom double bed, sleeping loft (10 m²) 2 beds, washroom, sauna, open porch and balcony. Access to sauna and shower through porch.New house construction site 100 meters away behind forest . Traditional cottage in a quiet hillside site. From the cottage to the beach a steep slope, steps on the way. 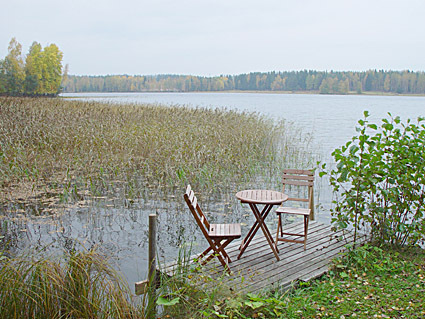 The lake has clear water and diverse fish point of view. 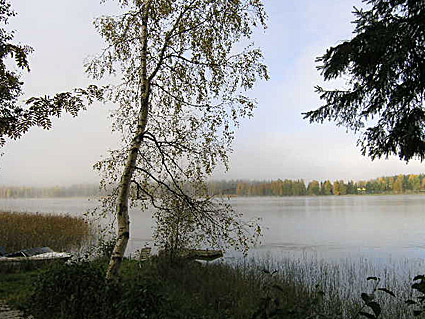 Tainio current 15 km (Finland's southern most salmon river). The cottage tap water comes from the lake and is safe to drink. There is a water point 150 m where drinking water can also be picked up. Willa Taigas tepee, available all year round, is within walking distance (can also be accessed by road). Located at a panoramic viewpoint, the tepee also features fish baking equipment and a WC. Close to nature trail. 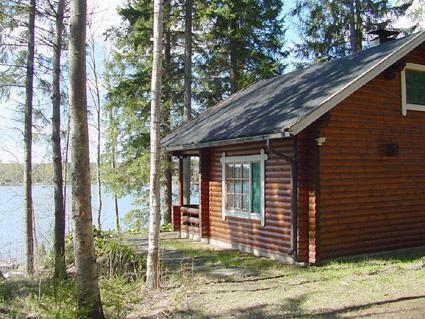 Transportation for excursions to Willa Taiga is available by arrangement for a maximum of 16 persons per time. 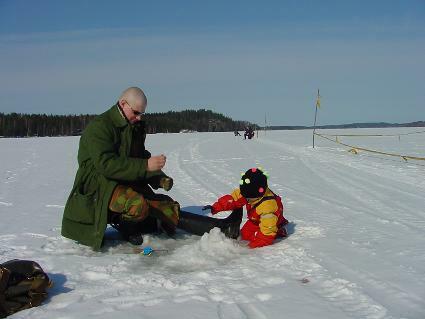 Close by there is also a second year-round tepee and outdoor recreation location at Huhmarsaari. Owners farm features yaks. These can be visited by arrangement with owner. Russian language services are also available!